Man…this was a good supper! I saw this recipe and adapted it to my taste – LOVED IT! 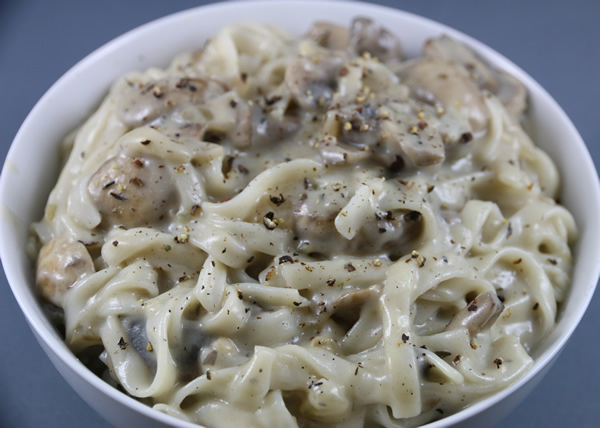 The sauce on its own does taste of cauliflower (although still super delicious), but when mixed through spaghetti, you don’t taste the cauliflower and just taste a creamy delicious alfredo. 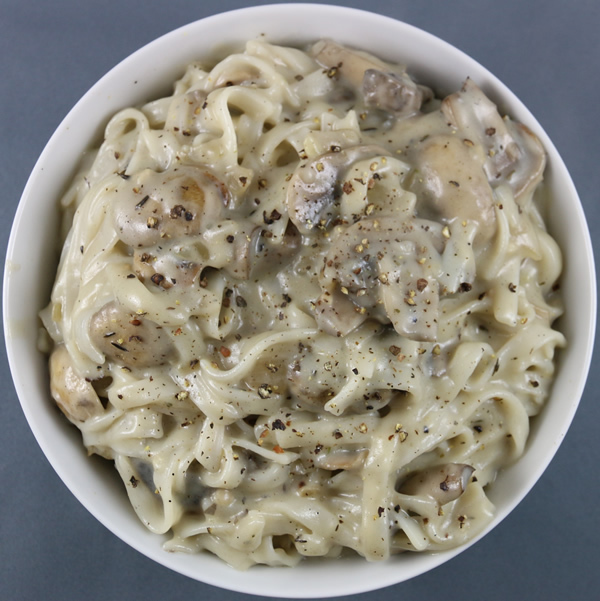 You could jazz this up by adding tempeh bacon, asparagus, roasted artichokes, olives etc, but I love my alfredo plain and simple with mushrooms and loads of freshly ground black pepper. All the measurements in this recipe are approximate. Depending on your cauliflower as well as on your taste buds, you may want to add a bit more garlic or onion power or nutritional yeast….you get the idea. Use this as a template and go from there. Pour this sauce over freshly boiled pasta and stir through. Serve with freshly ground black pepper, some vegan parmesan or nutritional yeast and rocket is always a fabulous addition!